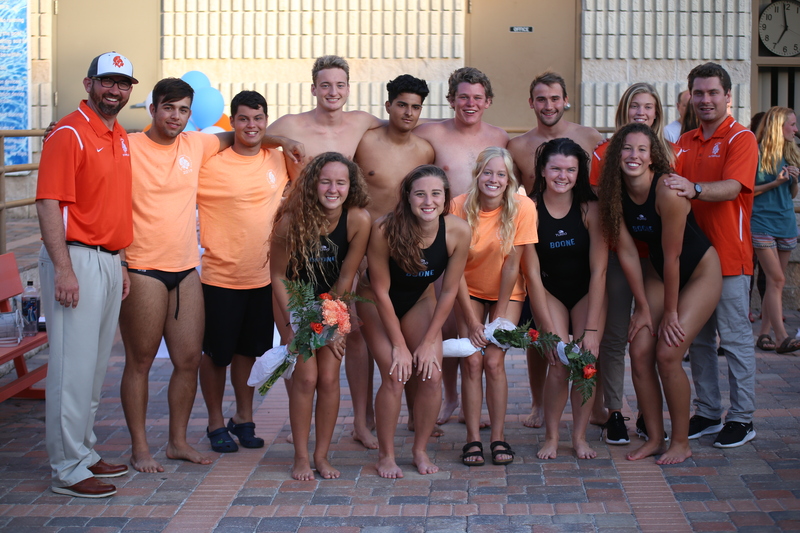 To celebrate their senior nights, the girls water polo team (14-9) and boys water polo team (12-11) faced the Osceola Kowboys on April 5. During the first quarter of the girls game, senior Holly Arquette led the team with multiple successful shots. Strong defense from the Braves prevented the Kowboys from scoring at all during the quarter. Senior Skye-Anna Oppel won the swim-off, kicking off the second quarter. With missed shots, the Kowboys continued to fall behind. Senior Amanda Smith and freshman Marlie Hayes completed the quarter with two scoring shots. By halftime, the Braves led with a score of 6-0. In the third quarter, the girls kept a strong offense. Although the Kowboys managed to score twice, the Braves powered through. Junior L’Wren Johnson made a deflective shot at the end of the quarter, overcoming multiple defenders and the quarter ended 11-2. Senior Olivia Sparkman took off her goalie headgear and traded it for a field cap in the final quarter. In her temporary position, she scored 13-3. Arquette ended the quarter with a shot and the girls secured a win 14-4. The boys game began with successful shots and sophomore Dylan Umpierre brought the score 2-0, with an assist from senior Russell Dagon. Sophomore Griffin Feijoo assisted senior Ethan Mortensen with a shot 6-0. The quarter ended 7-1. The second quarter was filled with strong offense. Mortensen led the team with several successful shots. With seconds left, he faked the ball, confusing the Kowboys’ goalie and scored 13-3. After halftime, Dagon immediately scored 14-4. Seniors Justin Fussell and Diego Hernandez scored, securing a strong lead. Mortensen scored yet another goal, showing off his experience with a successful fake. He spun his player and ripped the ball into the goal 19-6. The quarter ended 21-6. While the boys did not score in the last quarter, goalie and sophomore Brandon Arquette blocked a shot from the Kowboys and the boys won 21-7. 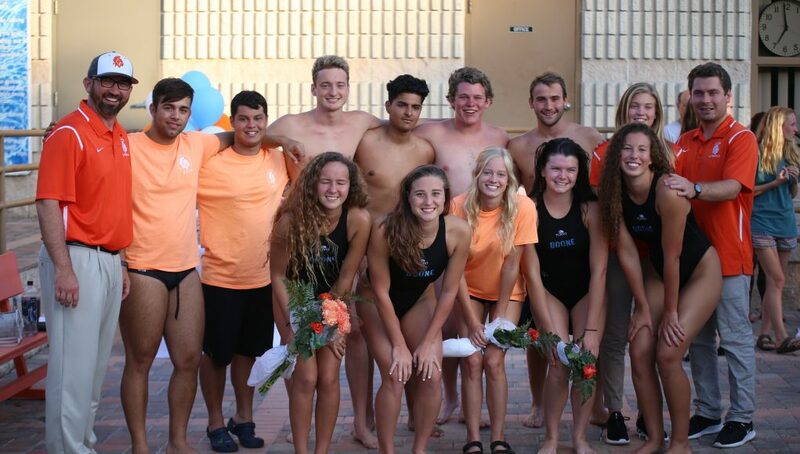 The girls and boys teams take on the Windermere Wolverines on April 5 at Wadeview Pool at 6 and 7 p.m, respectively.